Today I have been working on a new story…actually it’s been in the back of my mind for a good while now. 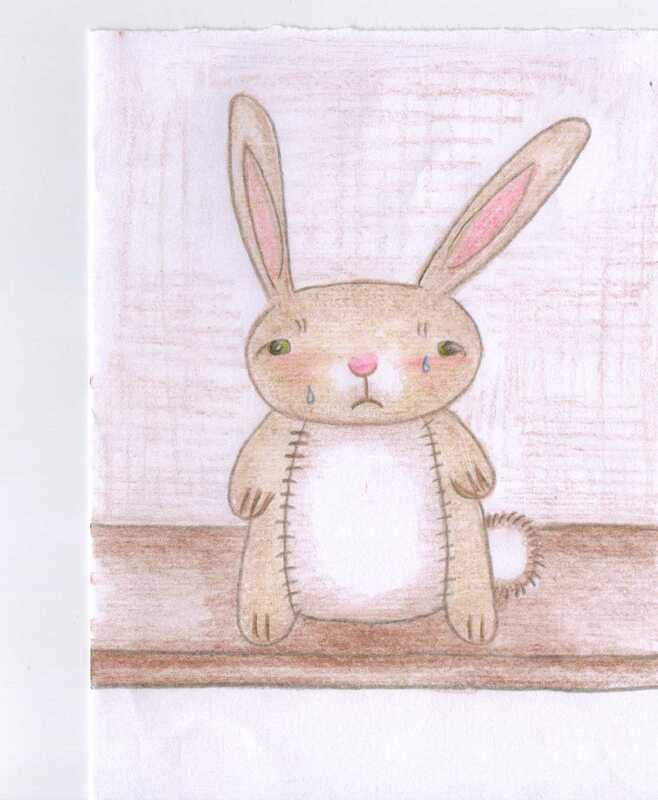 I have titled it “The Sad Bunny”. 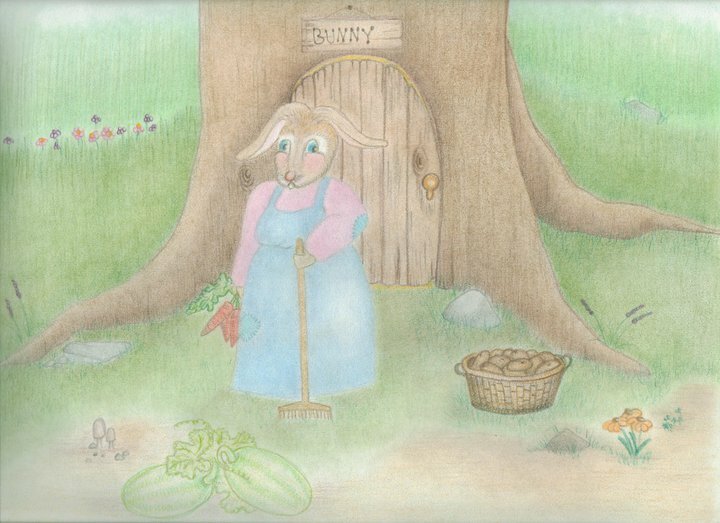 The inspiration for this story came from a couple of places, one a lonely little bunny I spotted in the thrift store one day, and second my little granddaughter Brooke. She has a place in the story as well. I hope with all my heart that a publisher will like it enough to publish it. It has always been my hearts desire to write and illustrate childrens books. 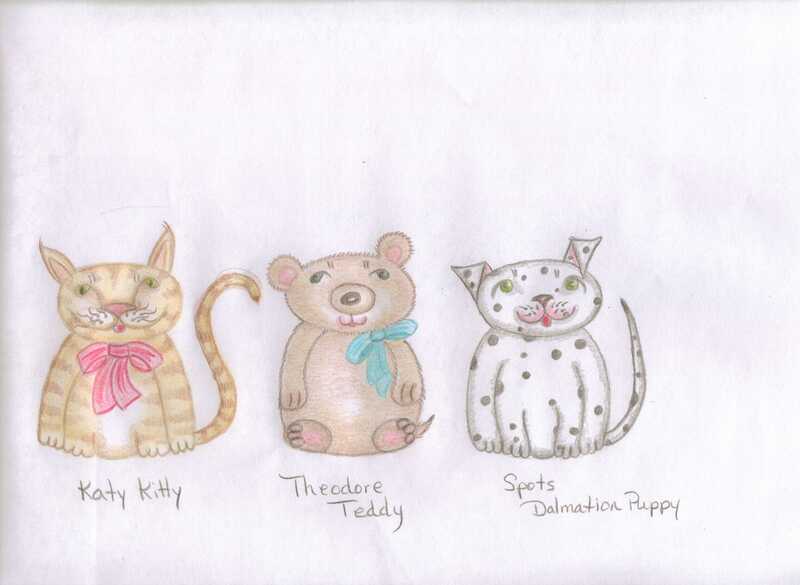 These are the main characters in the story, except for my granddaughter, I have not created her yet for the book. I want to use my grandson in a book as well. I love it when ideas and inspiration rain down on me, it truely makes life sweeter. Andy Anteater did not like to eat ants. They crawled up his legs, they crawled down his nose, and into his pants. He hated , he despised, he loathed those dispicable ants. 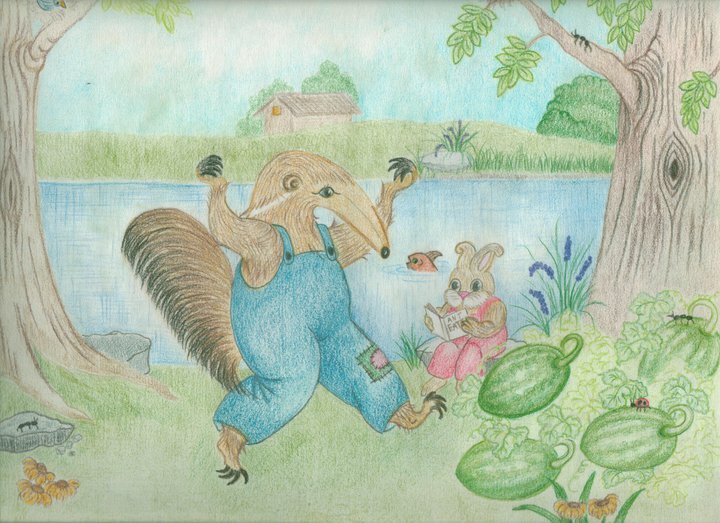 This is Andy Anteater, he is the main character in a childrens’ book I have been working on for a long while now. I hope to finish it soon and with any luck it will be published..This is my dream.